Mystery Science provides open-and-go lessons that inspire kids to love science. Mystery Science is reaching out to schools all across America to raise awareness about the solar eclipse and make it a science education moment that will change lives. 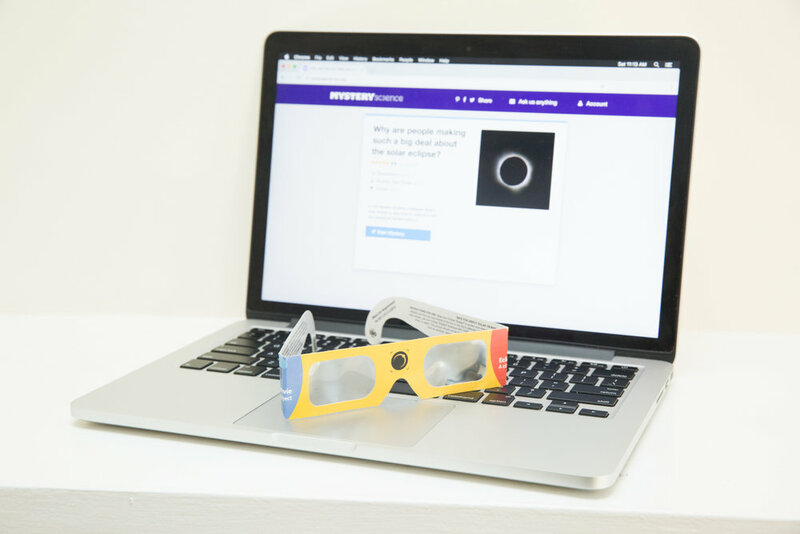 Google is partnering with Mystery Science to distribute solar eclipse glasses to elementary schools in advance of August's total solar eclipse across the U.S. This is time there's been an eclipse to cross the country in nearly a hundred years. Google will donate thousands of solar eclipse glasses so children can experience this moment of awe. Keith co-founded Mystery Science with his childhood friend, Doug Peltz, after teaching advanced science to engineers for years and working as a Product Manager at Facebook. He started Mystery Science to solve the crisis of scientific literacy in the U.S. by changing the way science is taught in schools. Keith has an impressive background as a programmer, entrepreneur, and investor. He started, built and had successful exits for three technology startups. His unique approach to teaching technology led to multiple talks at the TED conference in addition to features in Forbes, Wired, BusinessWeek, and other publications and industry events. Keith and his Mystery Science team are on a mission to accelerate human progress by increasing the number of problem solvers in the next generation. They’re addressing this by fixing STEM education for children. Keith started his degree in computer science and psychology at the University of Illinois at Urbana-Champaign but happily dropped out after the sale of his first company. Before he co-founded Mystery Science with his childhood friend, Keith Schacht, Doug was the Director of Science for LePort Schools, a chain of private schools in California and taught science in the classroom for seven years. While there, he created an original science curriculum, trained other teachers, and made science the students’ favorite subject. As a naturalist, Doug has given numerous TV appearances and was the first to discover the Red Bug in America. At Mystery Science, Doug hopes to nurture a widespread appreciation and understanding of science and technology. Doug graduated from the University of Illinois at Urbana-Champaign with a degree in the history of science. He spent his college years studying astronomy while also running tours at the observatory and giving people a look at the rings of Saturn for the first time.